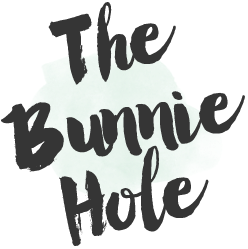 As a crafter I love the idea of upcycling, which if you haven't heard of the term before simply means to take something that appears useless and rework it into something with more value and purpose. It's the cuter way of saying recycling I suppose. A few months ago I tried this fancy brand of bottled water and loved the design of the glass bottle so I kept it knowing it would come in handy one day. What do you know, I was looking for a little something to add to my new video background and thought it would make a lovely vase. 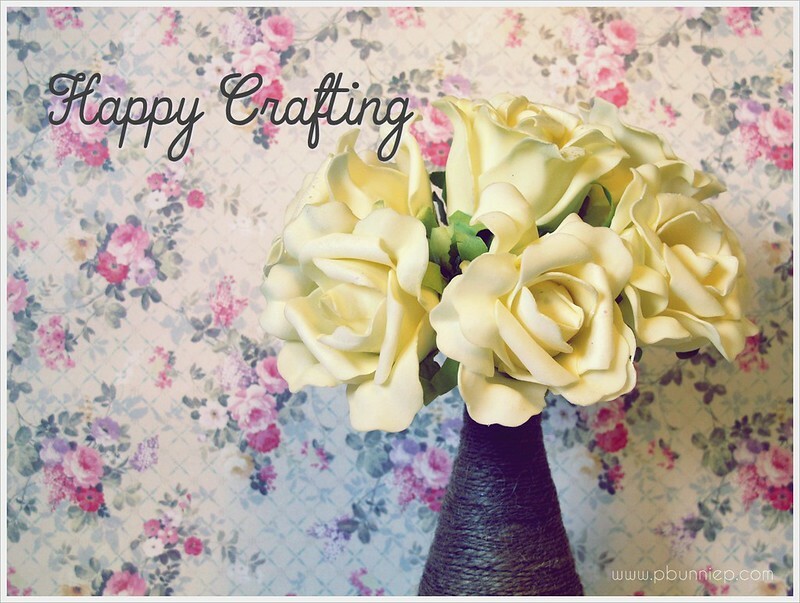 This is a very versatile craft that can be tweaked into many different looks and has lots of room for your own artistic creativity. Did I also mention it's super simple? 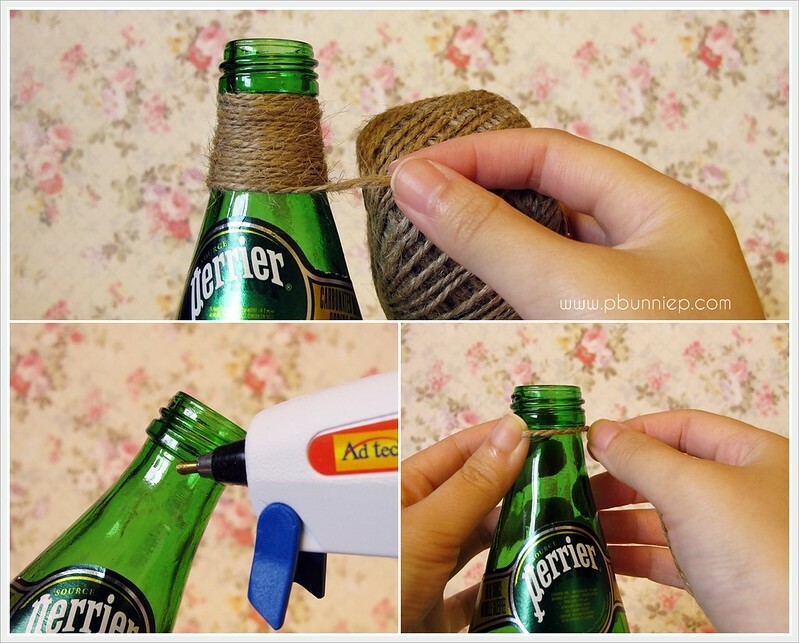 You can use twine of any thickness but I like to match it to the size and design of the bottle. Colourful twisted bakers twine (cotton) is a fun option as is yarn or even neon nylon rope. 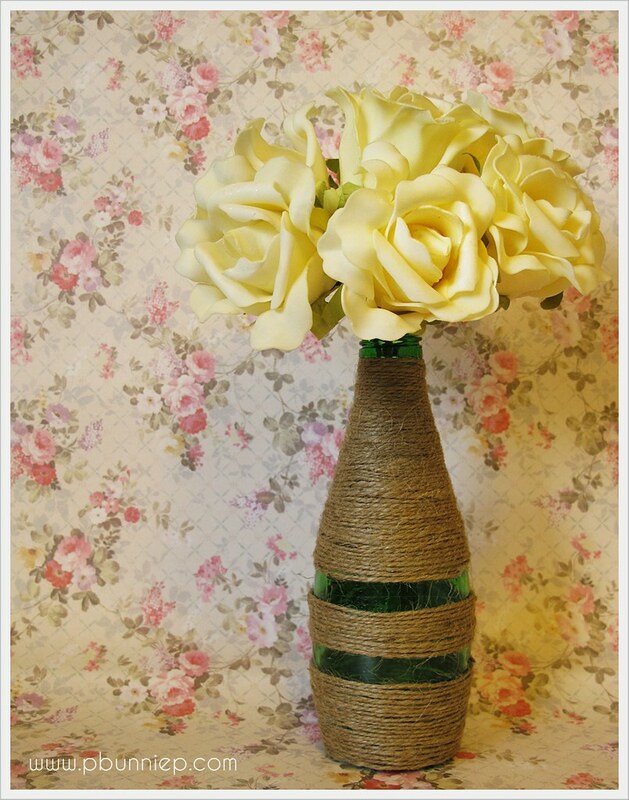 I bought a spool of natural twine at the dollar store but you can often find them in craft stores or Home Depot. 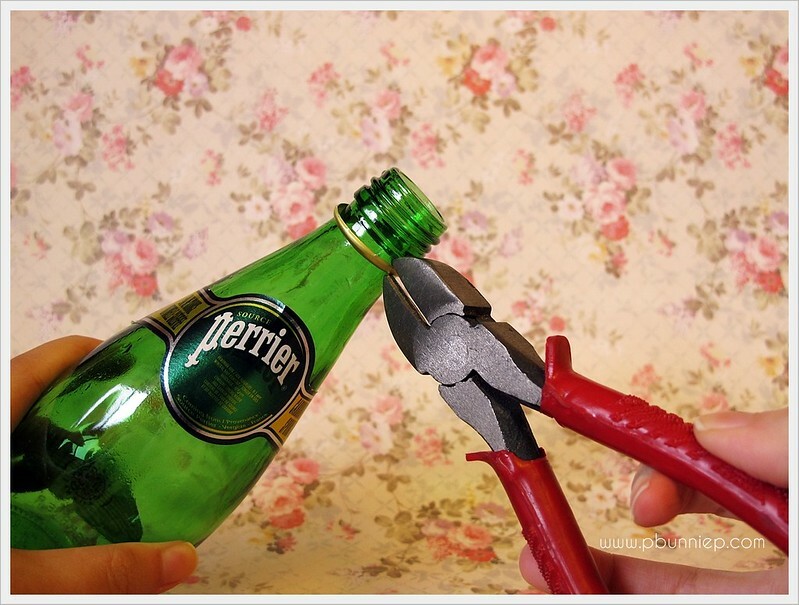 Cut off that piece of metal from the cap if it's still one the bottle, use a wire cutter and watch your fingers. 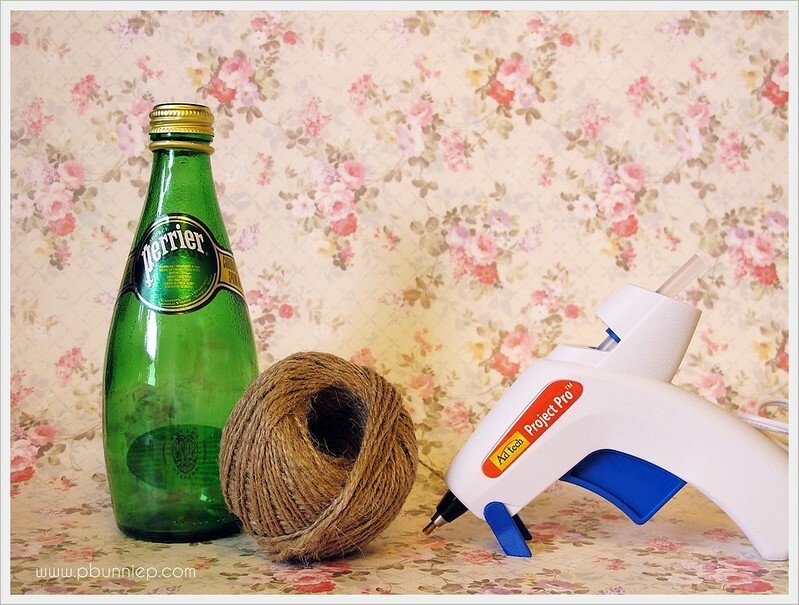 Start with a little smudge of glue (don't glob it on) and quickly push the piece of twine onto it. It's best to start a few centimeters from the end just to get the twine attached and then go back and tack down the loose end. The key here is to use small thin lines of glue so it won't show when it's dry. Keep going around the length of the bottle tightly, gluing down the twine every once every few rounds to make sure it doesn't end up sliding up or down. You can choose to wind all the way around the entire bottle or leave a few stripes bare like I did. 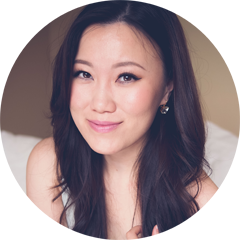 Check out these other lovely variations. If you make your own, link or tweet me a photo! Nice creation. I make my own jewelry. Love making staff..